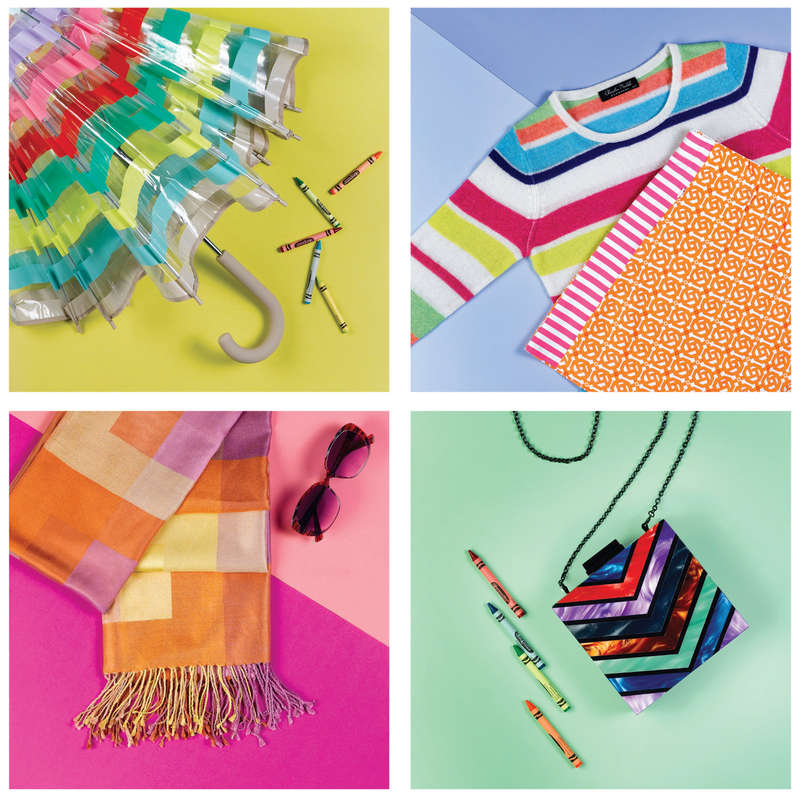 Spring clean your wardrobe with stripy essentials. Clockwise from left: Striped dress, $330, by Alice and Olivia, Nordstrom. Striped sunglasses, $420, Opt Eye Boutique, Providence. 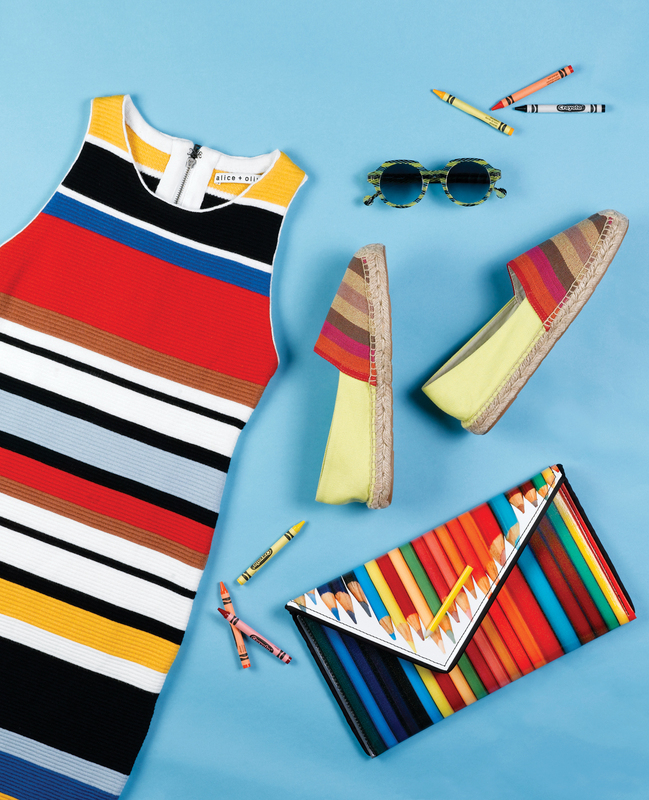 Striped espadrilles, $44.95, by Sam Edelman, Nordstrom. Colored pencil coated canvas clutch with chain and signed inner pocket, $208, Kent Stetson, kentstetson.com. Clockwise from top left: Candy striped umbrella, $38, by Kate Spade, Barrington Books, Barrington. Candy striped cashmere sweater, $40, Feminine Fancies, Barrington. Striped and printed skort, $165, J. McLaughlin, Providence and Newport. Striped bag, $230, Feminine Fancies. Striped sunglasses, $400, Opt Eyewear Boutique. Pastel color blocked scarf, $88, Sequin, Newport.